We’re a talented and committed workforce, representing 125 nationalities across more than 60 markets in our footprint regions of Asia, Africa and the Middle East and beyond. We have been in business for more than 150 years, so we know the value of nurturing your strengths over the long term. We foster a diverse and inclusive environment that’s free from bias, where everyone can realise their full potential and make a positive contribution. With three client and customer segments and seven support functions, you can find your perfect job fit. Our Corporate & Institutional Banking business brings together our unique global network, local expertise and diverse range of product and services to help large companies and financial institutions grow in some of today’s most dynamic markets. We’re transforming the business to serve our clients faster, in a way that better meets their needs. Our Commercial Banking business serves mid-sized companies in 27 markets across our footprint in Asia, Africa and the Middle East, typically fast-growing businesses in the process of expanding internally. We have both global and local expertise, which means clients can rely on our support in navigating new markets. This includes a full-suite of cross-border banking solutions as well as an industry leading digital platform, Straight2Bank. Careers within CCIB include roles in Corporate Finance, Financial Markets, Global Banking, Transaction Banking and Commercial Banking and our unique footprint offers opportunities to work in dynamic markets under a strong leadership team. We aspire to be the Private Bank of choice for generations of entrepreneurs in Asia, Africa and the Middle East, helping them to manage, protect and grow their wealth. We’re investing $250 million in our Private Banking and Wealth Management business to improve the way we serve our clients, upgrading our core banking platform and adding senior Relationship Managers. Our goal is to double our assets under management in the next five years. As a global business, with a presence across Asia, Africa and the Middle East and Private Banking and Wealth Management under the same leadership, we’re able to support our clients with best-in-class products and services. Careers within Private Banking and Wealth Management cover various roles including Relationship Managers, Investment Advisors, Investment Specialists, Wealth Planner Trust and Fiduciary Specialist, Credit Specialist and Product Specialists amongst others. The strong investments being made, together with a talented and driven workforce means we offer a variety of opportunities for a diverse workforce. Our Retail Banking business serves more than nine million people and small businesses clients across more than 30 markets in Asia, Africa and the Middle East. Our customers benefit from easy, convenient banking through more than 1,000 branches, 5,000 ATMS and market-leading online and mobile channels. We offer internet banking in 27 markets and mobile banking in 25 markets through our mobile banking app, Standard Chartered Mobile. We’re well positioned in affluent and emerging affluent markets so we need enthusiastic and resourceful talent who are eager to help clients achieve their dreams and ambitions. Our brand, our Priority offering, our cross-border capabilities and our unbiased open architecture wealth platforms have really made an impact with our clients and we are rated best international bank by our Priority customers in seven of our eight key markets. We’re working hard to continue to grow our brand and so we constantly enhance our products and services to make banking simpler, and more convenient and secure. The latest examples include our voice recognition platforms and new payment options on mobile and tablet devices for customers who want to be able to bank anytime, anywhere. Our Retail banking is incredibly diverse, from working in our retail branches to roles in ITO where we continue to build a digital bank with a human touch. Our Human Resources function supports employees from recruitment to retirement across our markets. We pride ourselves on building and retaining a high-performing and diverse workforce, and we work hard to support our employees, their families and the communities in which we operate. We have a progressive People Strategy where we’re investing not only in technology and innovation but also in our employees, their careers and personal development. Our goal is to create an environment where we can all bring the best of ourselves to work – one that recognises our uniqueness as individuals. That’s why we’re changing the way we work, introducing more flexible arrangements and modern office spaces, and making sure that reward and recognition is given not just for what we do, but how we do it, guided by our valued behaviours. As a member of the Human Resources team, you will work to partner, advise and support our employees and be part of this positive change across the organisation. Our Legal, Group Corporate Secretariat and Shared Investigative Services functions work hard to protect the Bank, and ensure we run our business responsibly in line with our valued behaviour of doing the right thing. We’re committed to be a leader in fighting financial crime, and work with local correspondent banks to safeguard their access to the financial system and help raise industry standards. We have also taken the lead on establishing new collaborative models to tackle financial crime, by breaking down the silos between financial institutions, regulators and law enforcement. Our Legal function is organised into client business, product, and regional legal teams, alongside legal practice groups in dispute resolution, government investigations, employment law, and corporate and M&A law. We’re digitising our banking services, making it easier than ever for our customers to bank. This means we’re making it possible to complete transactions at the touch of a button, developing new banking solutions within weeks, rather than months, and using feedback and testing to improve our digital products and services continuously. Our innovation lab, the eXellerator, aims to enable and accelerate innovation by providing a safe space for different parts of the Bank, and external partners, to collaborate, explore and test solutions to solve real business problems of today, as well as the challenges of tomorrow. The workforce within ITO is reshaping the way we do business. Be at the forefront of a drive to bring banking into the 21st century, offering more beneficial and innovative technologies for our clients, customers and colleagues. 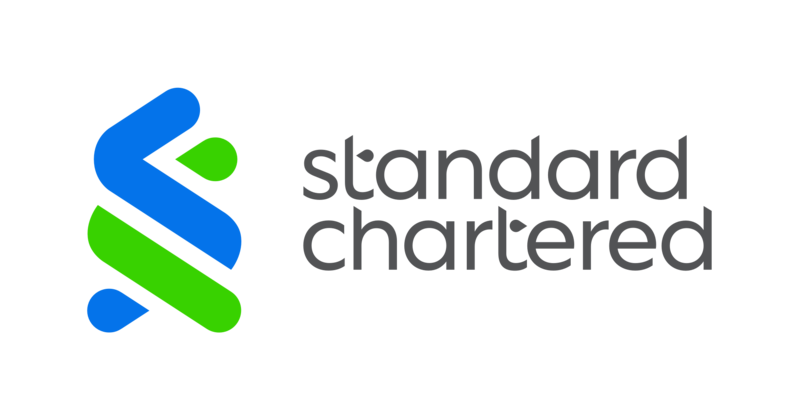 All employees of Standard Chartered are risk managers and take responsibility for the risks in our area of work. This is the Bank’s first line of defence. The second is our Risk and Compliance function. We believe that a healthy risk culture is one where we identify current and future risks effectively, discuss them openly and take prompt actions. Working with teams across the Bank, Risk and Compliance colleagues take a constructive approach to providing oversight and challenge, and make clear decisions in a timely manner. We’re nurturing a diverse and inclusive working environment where colleagues are accountable, open to challenge and feel safe using their judgment to make considered decisions. You can be part of our map to future success, breaking down silos and building out our diversity to drive better insights and decision making. Spanning all our business segments, functions and regions, as well our Business Resilience, Operational Excellence and Business Operational Risk Management teams, along with elements of Cyber Security, our Group COO team has a stake in everything that happens across the Bank. We provide control and governance to the operating platforms and processes to ensure operating excellence and efficiency. The Group COO also ensures that the Bank has the proper platforms, capacity and operational controls with good administrative procedures in place to effectively meet our strategic objectives. We work hard to become simpler, faster and better in the way we serve our clients and as a place to work for our people. Every aspect of what we do is intended to improve the way we work, whether that is by continuously challenging ourselves to improve and innovate, by reengineering our processes to become more efficient and productive, or by bringing together different parts of the Bank to deliver a safe and seamless experience for our clients. We’re making positive progress at a granular level, as well as having a broader impact with the changes we make. If you can challenge us to make processes even more simple and effective, while looking at new innovations to ensure we are at the cutting edge of business facilitation, this could be the right fit for you. Our Corporate Affairs, Brand and Marketing function is responsible for engaging the Bank’s stakeholders internally and externally, as well as promoting and protecting our brand and reputation. This team was behind our latest advertising campaign – "Good enough will never change the world" which tells the world who we are and what we stand for, both in our business as a Bank, and in our community work. To find out more about the campaign, you can also read our press release. Global Business Services is at the heart of the professional services, core systems and processes at the bank including client care, finance services, risk, technology services, cyber security, cyber forensics, regulatory compliance and banking operations. Simply put, we couldn’t function without these talented teams where colleagues act as trusted advisors and manage complex, large scale, cross-border activities to ensure that our business runs as efficiently as possible. Our service centres in India, Malaysia, China and, from September 2018, in Warsaw, Poland are redefining banking by using the latest technologies and practices in data analytics, robotics and software development. Our client-focused delivery culture has attracted top talent from around the world to come work with us. We offer a wealth of opportunities for a diverse workforce in our pursuit of building a lean, agile and digital bank with a human touch. Race; colour; nationality; national or ethnic origins; gender; parental status; marital or civil partner status; sexual orientation; gender identity, expression or reassignment; HIV or AIDS status; employment status; flexibility of working arrangements; disability; age; religion; or belief. It is the Bank’s policy to comply with all country, state and local laws that protect the rights of individuals from discrimination and govern employment practices across all the regions in which we operate. We want all applicants to feel able to perform at their best throughout the hiring process and we’ll support you with any reasonable adjustments you need. We are always looking for people who can bring new perspectives and experience to our team. We want people who put the client first, and do the right thing. If you’re looking for an employer that values your unique perspectives and ideas, your skills, your curiosity and passion, as well as being committed to helping you in your career and provide fresh challenges, Standard Chartered could be your next move. Once you've found a role that interests you, please submit your online application, including your latest CV. Remember to tailor this to present your relevant skills and experience clearly. Interviews are a chance for us to get to know you better, and for you to find out more about us and how we work. There are no right or wrong answers – the aim of the conversation is to decide whether we're a good fit for each other. We may also ask you to complete a series of job-related assessments depending on the role you have applied for. These may include testing your ability or talent in a certain area, as well as simulation exercises and role play scenarios.